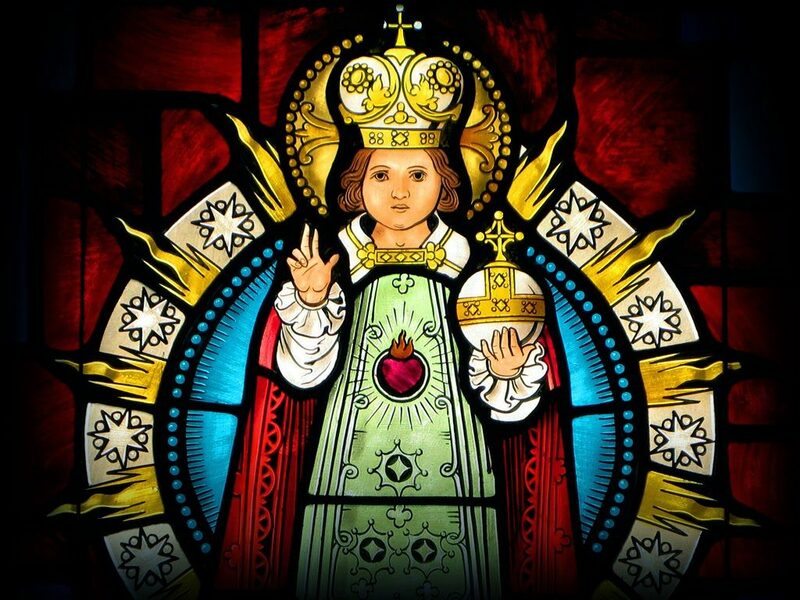 Why did God enter our country in the image of the Holy Child? What is his message to us? In Mt. 18:3-4 we read, “Truly, I say to you, unless you turn and become like children, you will never enter the kingdom of heaven. Whoever humbles himself like this child, he is the greatest in the kingdom of heaven.” It is clear that Jesus does not want us to be childish all our life. Rather, as we mature in Christian life, we are to preserve many characteristics that children have. The first is humility. A child always looks up to his/her parents and submits to them. As we grow older, we lose our dependence on our parents and because we had more schooling than they had, we become proud and even look down on our parents, forgetting that experience is the best teacher. The Wisdom books always tell us to stand and pay respect to the elders in our community; our culture today refuses to give this respect, and humility is a rare virtue. A child is simple and innocent, he has no pretensions and acts without malice. In the adult we find no simplicity, more frequently there is a hidden agenda and ulterior motive. Even our courtesy and gentleness are feigned to obtain favors. Real love and affection is getting rare among us. The Lord invites us to take from childhood some traits that still befit mature age like being fast to be appeased from irritation and speedily to return to calm; to easily forget hurts and put aside rancor. A child does not crave for honors while we adults easily sulk when not given attention. A child loves companionship with a sense of natural equality. Discrimination is learnt from adults. I sadly recall a grade three girl crying. Her father was bank manager and his car was company issue. At recess, she approached a group of classmates, not thinking that these were brought to school in Mercedes and BMWs. As she came near, one girl loudly told her: “I do not play with poor kids.” Who taught her that if not the parents? Furthermore, it is a great good not to know how to harm others and not to enjoy evil. We adults play pranks on others, not thinking that it really hurts. The world inflicts and even repeats wrongs, but not to repay evil for evil is the Childhood of Christian equanimity (Sermon by Pope St. Leo the Great). Let us be childlike, love humility and keep from pride. When we are filled with kindness for others, the poison of envy disappears, for our Lord said: “Whoever exalts himself will be humbled and whoever humbles himself shall be exalted.” Look at the Baby in the manger and remember, “by his word all things came to be,” yet his fingers are so tiny; he walks the galaxies and calls each star by name, but see how tiny his feet. Our God humbled himself to be a helpless Baby, while all I want is to be “great” in the eyes of the world. How can I be childlike as He was?